Do your eyes always seem to look tired even though you have had a full night’s sleep? A blepharoplasty in San Diego, or an eye lift, is one of the most popular operations in plastic surgery. In the normal process of aging, the eyelids start to stretch. At the same time, the muscles that support the eyelids begin to weaken. The scientific name for droopy eyelids is ptosis. You should be in good health, over the age of 35 and have realistic expectations about the blepharoplasty San Diego procedure. If you have had saggy or droopy eyelids run in your family, you may wish to have the operation done sooner. Blepharoplasty San Diego can improve your appearance and boost your confidence. You may expect a San Diego blepharoplasty on your upper eyelid to last for about seven years, while surgery to the lower lid is unlikely to require repetition. Your eyes will continue to be susceptible to the effects of aging. If your lids sag again, you may want to consider a forehead lift instead of repeating the blepharoplasty. Eventually, superfluous fat begins to collect above and below the eyelids, causing them to droop. Bags accumulate underneath the eyelid and the brows begin to droop. Not only are saggy eyelids unappealing aesthetically, they can even interfere with your vision. While sagging eyelids are a natural consequence of aging, some people have them from birth while others develop them as a result of an illness such as Myasthenia Gravis. A blepharoplasty, or eye lift, removes excess skin, muscle and fat to make you look better, feel better and, in some cases, see better. What a La Jolla blepharoplasty cannot do is eliminate dark circles, erase wrinkles or lift sagging eyebrows. The surgeon makes two tiny cuts in the natural creases of the eyelids, removes excess fat and skin and tightens the muscles. 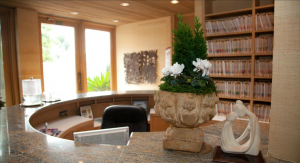 It is very rare that a blepharoplasty in San Diego requires an overnight stay. Even though you are not staying the night, you will not be able to drive after the operation so have someone take you and drive you home. Someone should stay with you the night after the procedure. • Over-the-counter painkillers – Ask your doctor which ones to use. There are some that you should not take because they may provoke bleeding. • An ice pack and ice cubes or freezer bags filled with ice or frozen vegetables.